Lyme Disease is a complicated and multi-faceted illness that can impact anyone. The symptoms can range from mild to severe and the disease attacks the body indiscriminately, which means the entire body is at risk to be affected. Often times, when someone is struggling with an illness, movement and exercise is the furthest thing from their mind. However, exercise has tremendous potential to facilitate healing and transform the body. The trick is finding the right type of movement and exercise that promotes all of the possible benefits without exacerbating symptoms a person may be experiencing. Enter Pilates. A complicated illness needs an adaptable approach. Because Lyme Disease impacts people differently, there cannot possibly be a specific exercise protocol for patients to follow. 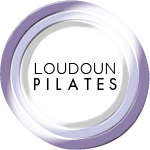 Luckily, having a Pilates platform provides an array of exercises, equipment, variations, and tools to choose from to tailor a workout to meet the exact needs of each person. 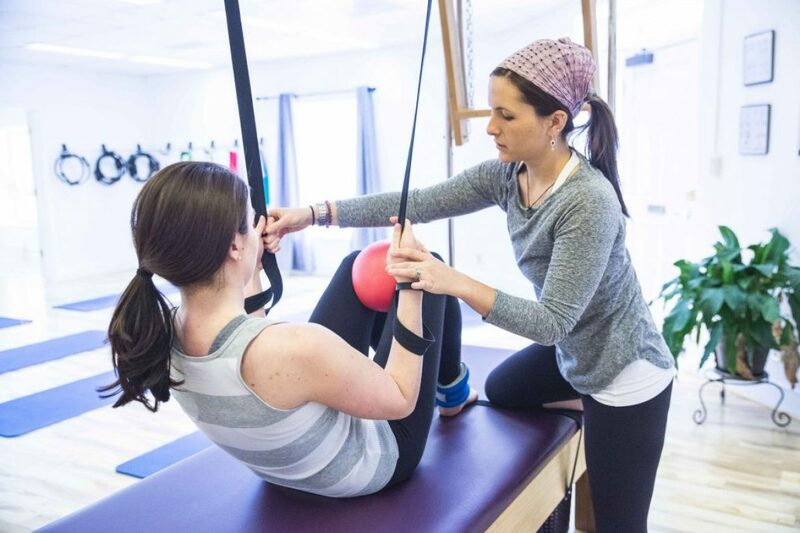 In addition to hundreds of different Pilates exercises, there are various types of equipment and special props that create different levels of support, challenges and benefits. Exercises can be modified and spring weights on the machines can be adjusted to either increase or decrease support accordingly for the individual client. Furthermore, Pilates can be as gentle or challenging as needed based on the exercises chosen, equipment used, and pace performed. Sessions may focus on gentle stretches, strengthening muscles, proper breathing techniques or a combination. 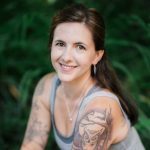 There is no limit on the type of customization Pilates can provide as a safe and supportive exercise option for individuals with Lyme Disease. Pilates is notorious for being the go-to work out for strengthening the core. While it is absolutely amazing for its emphasis on building core strength, Pilates can truly be a full-body workout. Pilates is an equal opportunity type of exercise and also addresses the legs and arms as much as the abs. Because Lyme Disease has so many different symptoms, there is no way to anticipate how someone may be affected and, more than likely, everyone is going to be different. Pilates has the tools to work with each part of the body. For example, knee pain is a common symptom experienced with Lyme Disease and Pilates can help restore proper joint function and range of motion. However, on the flip side, the ability to work the entire body means that Pilates can also AVOID certain parts of the body that may be too painful or inflamed to work around. So, if a person is extremely painful in the knees, a session can be tailored to avoid the knees (if needed) while still working and moving over parts of the body. In other words, pain in one place doesn’t have to preclude someone from working, strengthening and/or stretching other parts of the body. There are lots of options and abilities to keep the body moving in very supportive and gentle ways. Lyme Disease can be debilitating with symptoms that leave people bedridden with insufferable fatigue and pain. Confusion and brain fog are two common symptoms of Lyme Disease, which lead to people feeling frustrated and disconnected from their bodies. Pilates promotes a strong mind and body connection with a focus on refined movements, form and alignment. The specialized equipment is designed to provide direct feedback on how the body is moving back to the mind. The ability to focus on specific body parts and small movements can literally work to re-establish neuropathic connections that may have been lost due to inactivity or nerve damage. Re-taking ownership and control over one’s own body is extraordinarily powerful in the recovery from Lyme Disease. Adding movement and exercise into recovery can be intimidating for anyone suffering from Lyme Disease. It is important to start any new program slowly and layer in different challenges over time. Symptoms of Lyme Disease can vary from day to day so each session should be viewed individually and without any predisposed expectation. If you are suffering from Lyme Disease or are a Pilates teacher looking guidance on how to work with clients with Lyme Disease, be sure to sign up for our NEWSLETTER for tips and information on educational opportunities. I am also available for consultations and can be contacted directly HERE.